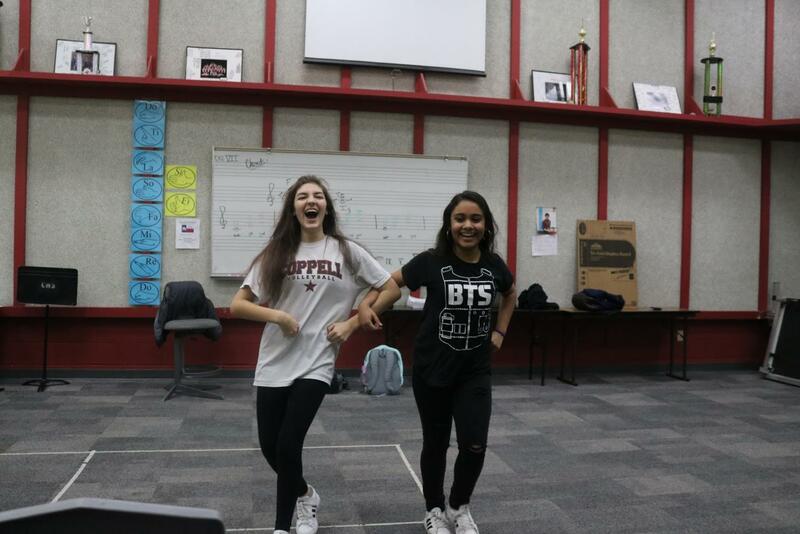 Coppell High School sophomores Elisabeth Nail and Eliana Ochoa perform “As If It’s Your Last” by Blackpink to start off Korean Culture Club’s meeting with a bang. The club meets after school each Monday in F101. Blasting K-pop, laughing students and illegible tally marks on a small whiteboard describes a small glimpse of the atmosphere of Korean Culture Club (KCC). Every Monday in room F101, the club welcomes students of all backgrounds to unite through one common interest: Korean culture. Some join to learn the language. Others join to dance, play games and experience each and every small aspect of Korean culture. Either way, people are able to join an exciting community through a breakthrough phenomenon. Evidently, the K-pop wave has not slowed down. With BTS speaking at the UN General Assembly this past September, NCT being the first K-pop act to be named Apple Music’s “Up Next artist” and LOONA winning the MTV Europe Music Award, K-pop groups are making a name for themselves worldwide. However, even outside of music, the impact of the Korean wave has become just as prevalent in everyday products. 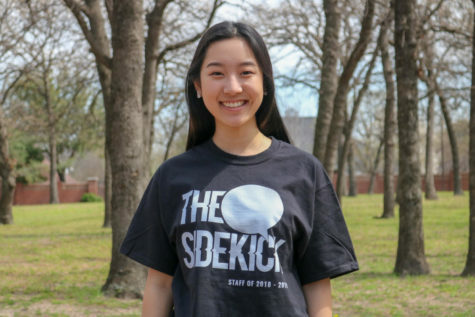 The rapid spread of Korean culture, especially inside the doors of the small choir room, has shown it has done more than just improve people’s Korean. Diving deep into the culture, members of the club get to embrace all of Korea’s cultural differences through interactive games, various songs and complex dances. The unique presence of the Korean culture is leaving a lasting impression on many.